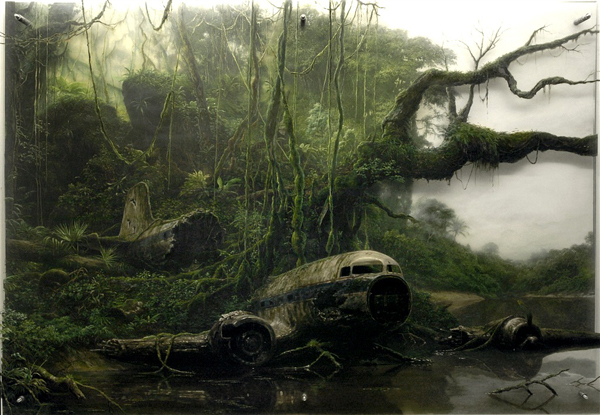 Created by London based artist Jonathan Wateridge “Crash Series” consist of seven huge (up to 2m x 3m) oil paintings depicting scenes of crashed air planes and ships. 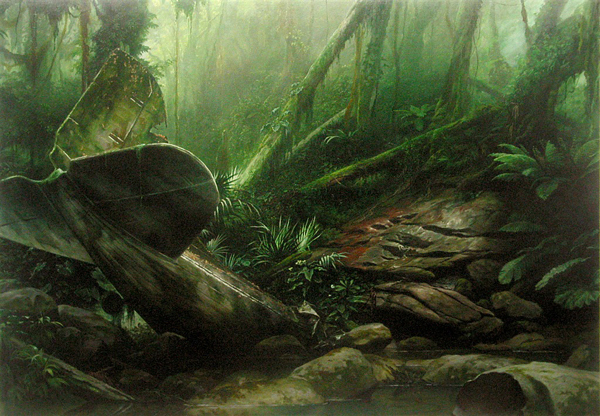 Extremely realistic paintings show dramatic contrast of live nature and dead mechanisms. 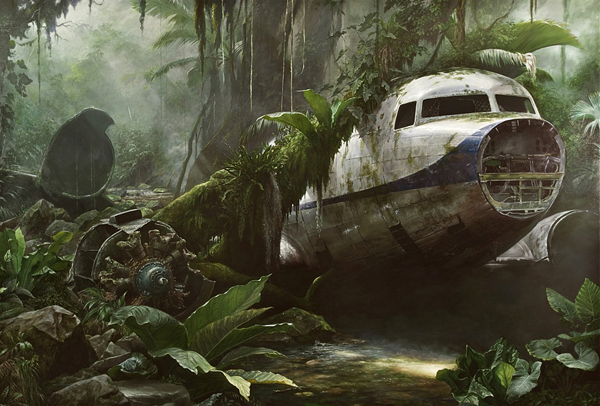 After reviewing the masterpices the only one thought come to mind “why so few?”…. 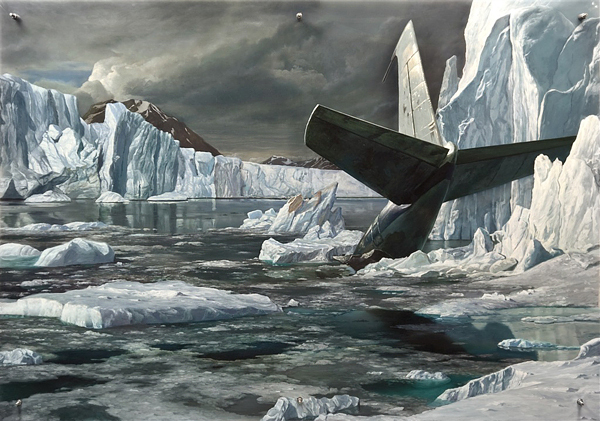 Really good paintings,they all have an impact, if you have enough imagination. 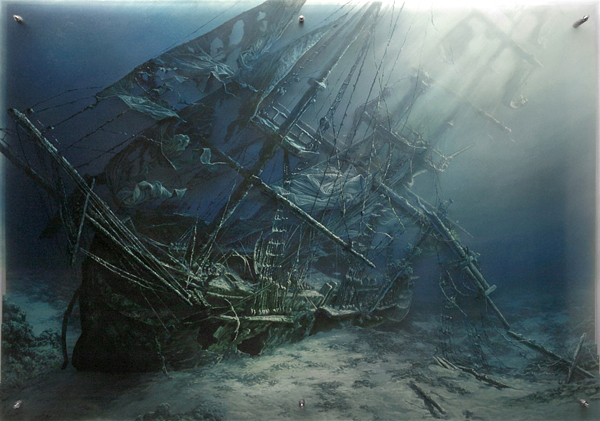 These are stunning,haunting and intense. 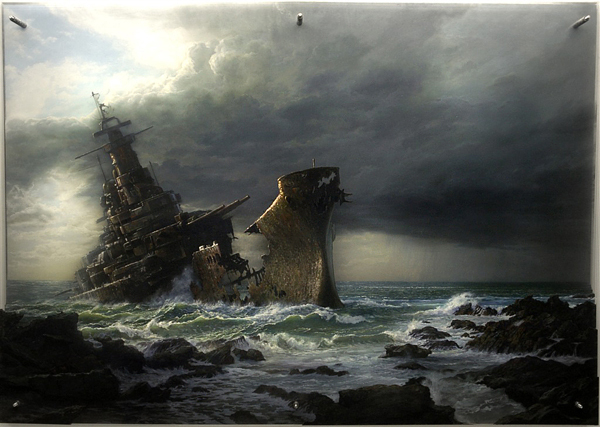 Seascape with wrecked Battleship makes me think of the Divine Comedy song ‘Wreck of the beautiful’.